Of all the senior mobile home parks in Sacramento, California, Casa de Flores Mobile Home Park provides the safest and calmest environment around. With spaces to accommodate double- and triple-wide mobile homes, you are sure to find a great community with caring management. 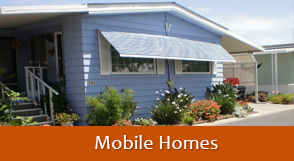 Friday, 10 a.m. – 12 p.m.
Friday, 12 p.m. – Monday, 10 a.m.
At Casa de Flores Mobile Home Park in Sacramento, California, we offer you a senior mobile home community with home and lot rentals. You have a community of kind people who take care of each other. Our social club makes sure you always have something to do, in a quiet and friendly environment. Contact us to learn more about our senior mobile home community and have the peace and quiet you deserve.